Beaches – Horseshoe Bay off Lamont Street is sheltered and ideal for children. Beare’s Beach – off Scenic Drive is a surf beach. Moorhead’s Beach – at the end of Wapengo Street on the northern side of the harbour is an excellent surf beach. 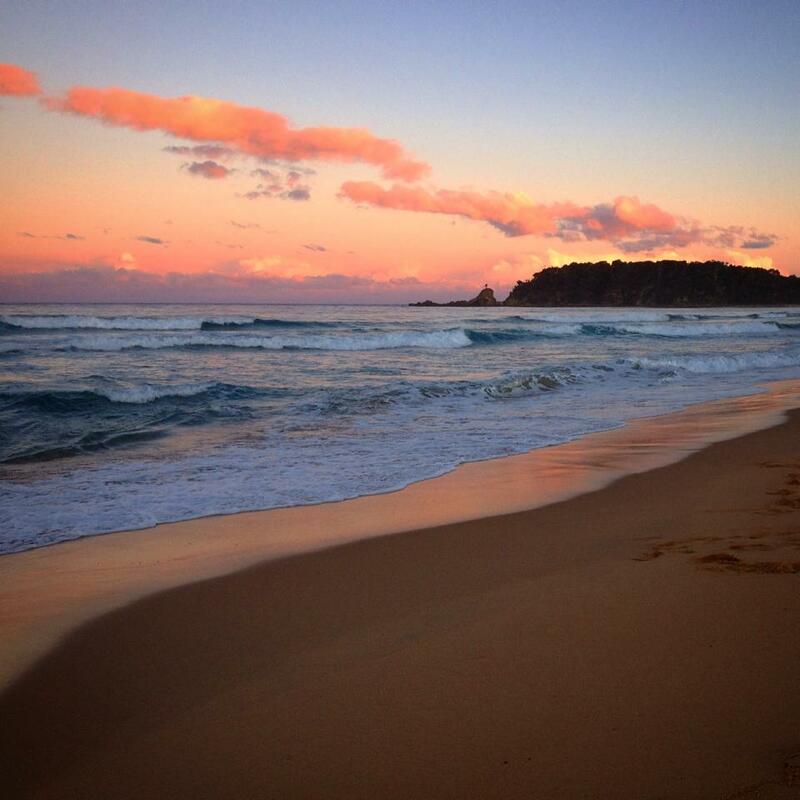 Hayward’s Beach – enter from southern or northern branches of the old highway (no through road) is a good surf beach. Cuttagee Beach – south of town is a good, uncrowded surf beach. 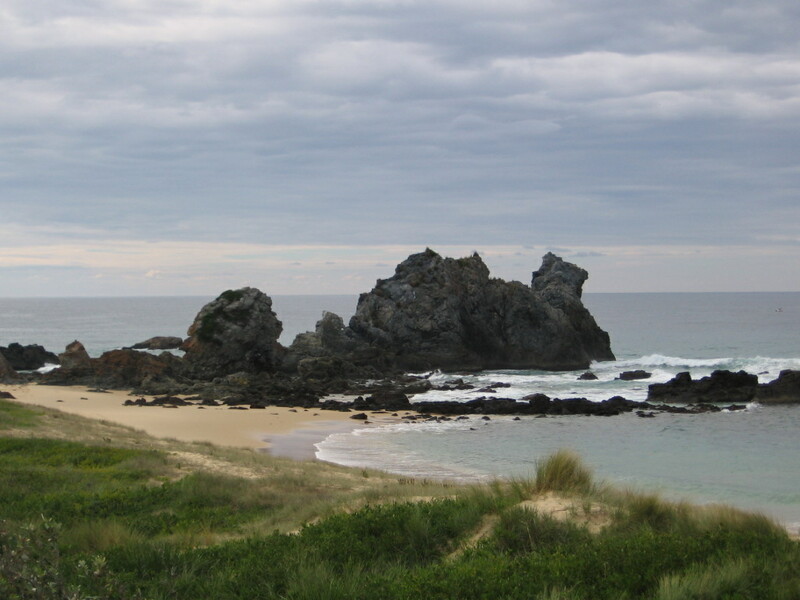 Camel Rock Beach – north of town is an excellent surfing beach. Blue Pool – is a large ocean rock pool, good for swimming, splashing around or snorkelling. Opposite the big water tower near Scenic Drive. Watch for sign on ocean side. 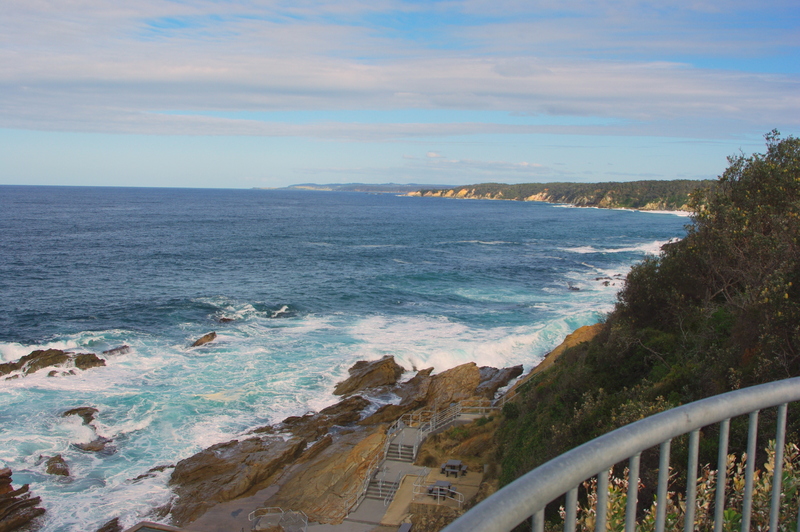 (picture is looking south from Blue Pool lookout). Bruce Steer Pool - is located at entrance to harbour just past the boat launching ramp. The pool has a shark proof net and good for snorkeling and families to splash or swim. 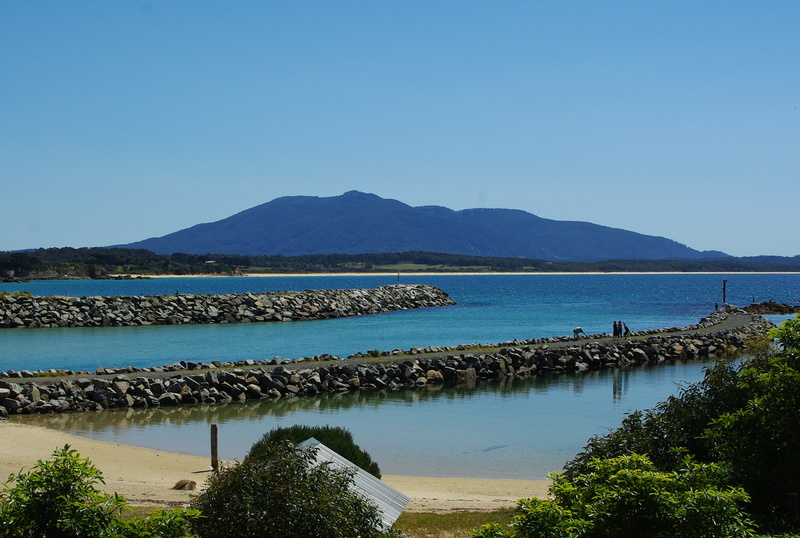 (picture shows Bruce Steer pool to the right, Bermagui River entrance in the middle of the rock walls & Hayward's beach below Gulaga Mountain). 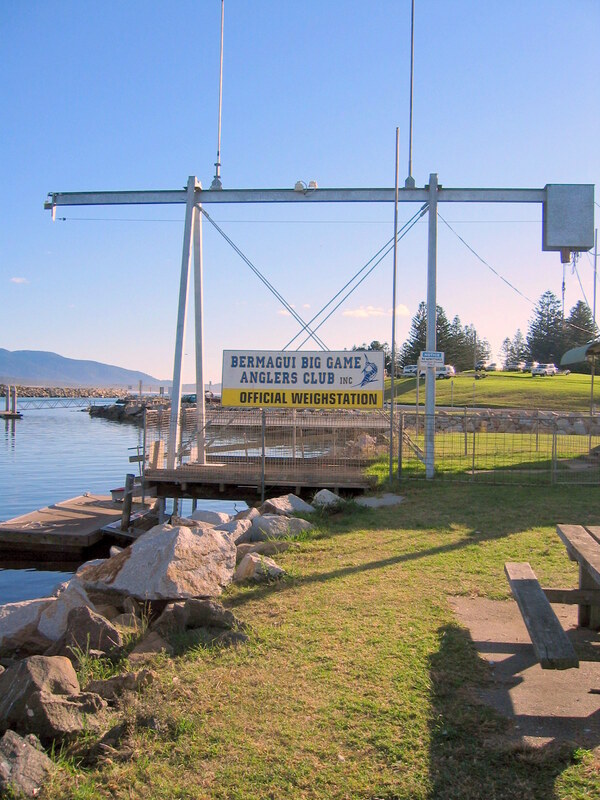 Bermagui Harbour - fishing fleet, fish shops, boat launching ramp and trailer parking, fish cleaning tables, weigh-in gantry for game fish. Bermagui River Park – just upstream from the bridge. Boat launching ramp and trailer parking, picnic area and toilets. Craft Activities and Sporting Facilities - Bermagui Country Club hosts the amateur Art & Craft Society, with different activities each morning. A magnificent 18 hole golf course, lawn bowling rinks and all weather tennis courts are also available at the club. Call 6493 3445 for more info, visitors and new members are welcome. 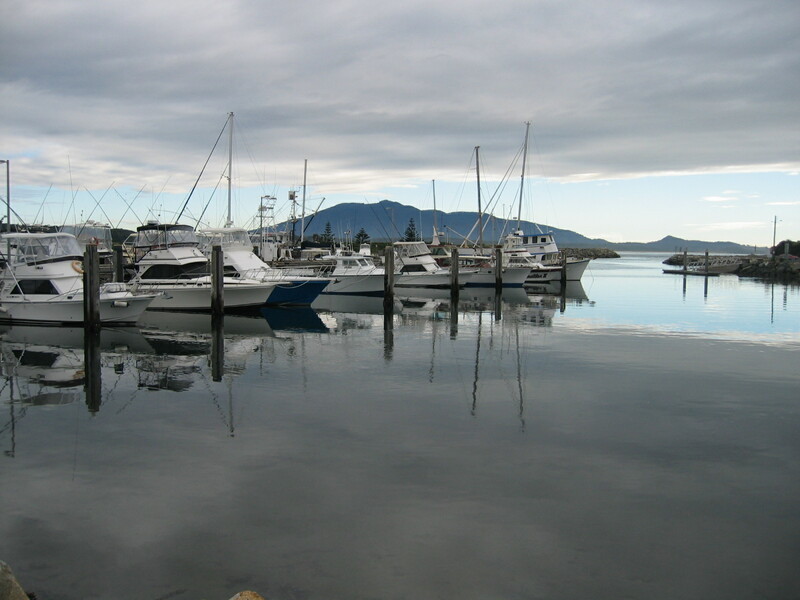 Game Fishing - Bermagui is an internationally fabulous deep sea fishing and anglers paradise, with an abundance of species and fishing competitions. Charter Boats for deep sea and game fishing trips are available daily. Enquire at Bermagui Visitors Info Centre. Scenic Forest Drives – north of town watch for sign posts. Spotted gum and Burrawang palms with picnic area beside backwaters of Wallaga Lake. Camel Rock – just off Wallaga Lake Road, 8klms north of Bermagui sits the lifelike Camel Rock – great for swimming, fishing, and picnic area. There is a DOG friendly section of this beach (signposted). Horse Head Rock - around the corner from Camel Rock is Horse Head Rock. Access is via a nice walk along the path from the car park. Sunsets & Sunrises - One Tree rock in the distance, a good fishing gutter, great company and a magical sunset.